Volunteer turned Episcopal Community Services employee. Avyanne Osbourne is one of the founding members of The Young Friends Circle of Episcopal Community Services. She has been an active volunteer at St. George St. Barnabas Episcopal Church in West Philadelphia practically her whole life. Avyanne has participated in the monthly Cook-Off at St. Barnabas Mission. She ended up finding the time cooking with others in an industrial kitchen rewarding. Currently, she leads the Schuylkill Deanery (seven churches) once a month with a clothing drive. Assisting the underprivileged with their clothing needs has been a long-time passion. Avyanne helped found a Young Friends group at Dress for Success so when asked to bring the concept to ECS, she already had experience. What inspired her about the idea of a Young Friends contingent? Avyanne attributes her interest in volunteering to her mother, who rooted the idea with her from a very young age. She has spent so much time at the ECS offices as a volunteer and supporter that she was recently offered a full-time position. Her new title is Assistant Director of Development. “I am so honored to be working for ECS,” she said. 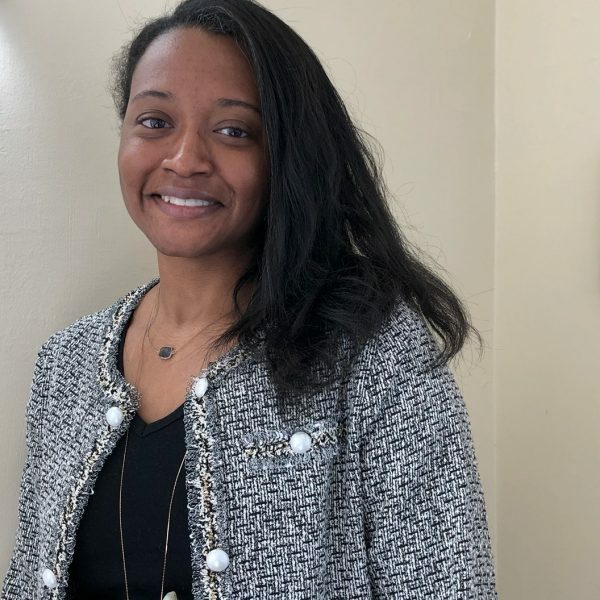 With past positions in sales and healthcare, she is thrilled for the opportunity to use her skills to build a growing social service agency in Philadelphia. Everyone already knows her heart is in the right place.